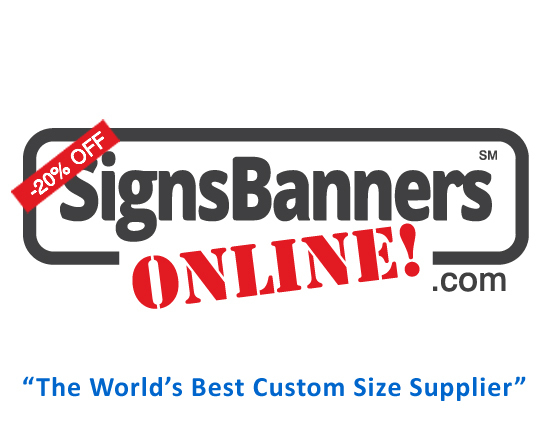 North America: Banners Advertising Signage - Huge 2019 Discounts Here! Buy Direct We supply you with a 'Statement of Wholesale Supply' for your taxation/reseller records. 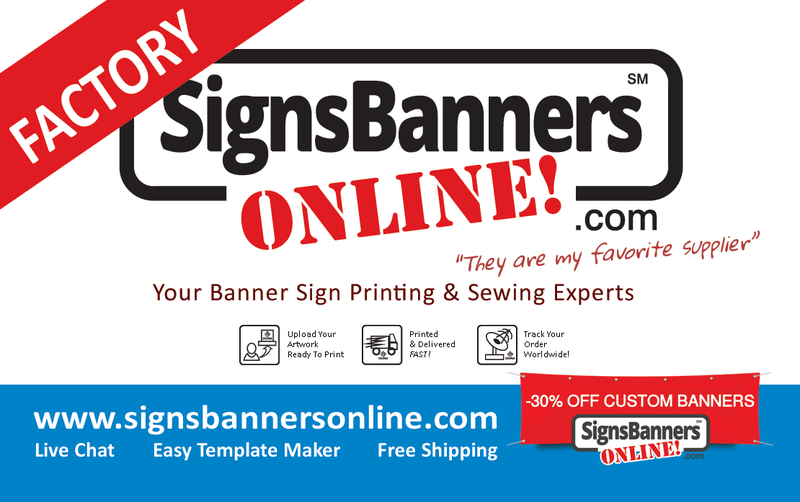 Currency and Payments Signs Banners Online use PayPal global services. PayPal allows you to select your currency. 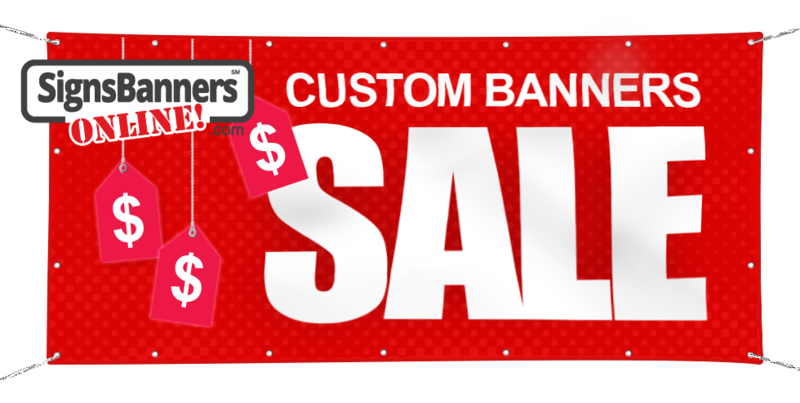 Prices advertised are $USD. Login No login is required to order. As you move through the steps of the Order & Calculator your details are used for shipping label purposes only.